it all running smoothly. To find out more call 01772 860085. Like with regular Slurrybugs, Envirosystems also offers SlurryBooster Auto System customers a FREE slurry analysis service for an insight into the nutrient content of slurry. An increasing number of farmers understand how soil health directly affects grass growth and quality; and that this impacts cow health and milk production, which clearly shapes your bank balance and job satisfaction. Surviving and thriving in today’s challenging business environment depends on doing many things well. One of these is making best use of the farm’s home grown resources…including slurry. Do you see it as a valuable asset or costly nuisance? Do you put up with slurry as unavoidable waste material or appreciate its contribution to your farming system? 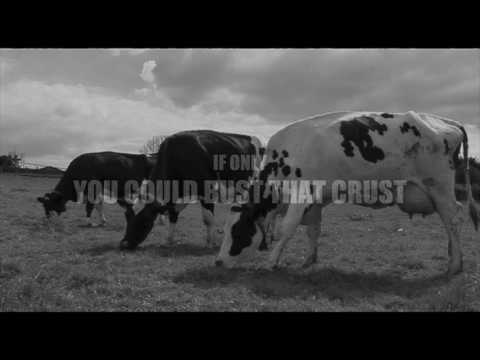 A crust on slurry is not inevitable. Using SlurryBugs™, lagoons and stores can be managed easily to be crust-free, good for soil health and great for cow productivity. 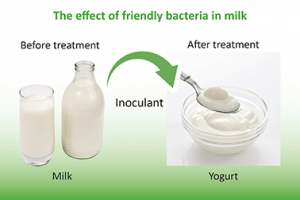 The remarkable treatment that achieves this employs the same principles as silage inoculants, long proven now as effective aids to making good silage. SlurryBugs™ is a unique combination of enzymes, friendly bacteria, and secret micronutrient boosters. Enzymes break down the crust’s fibre to make nutrients accessible for the bacteria to absorb, fuelling them to multiply many millions of times. Booster micronutrients speed up this process. If you agree with the farming visionary who once said, that “the land we farm is not ours, we are borrowing it from future generations“, then taking good care of soil health is probably one of the best legacies you can leave. So, take a look at this one-minute video to see a slurry lagoon transformed from typical crusted surface to what looks like a clear pond in just nine weeks. 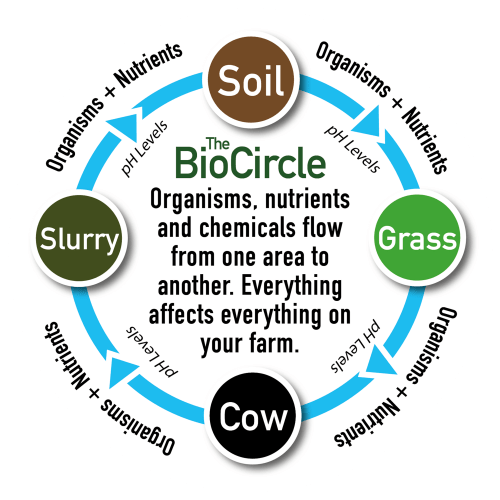 does feed soil microbes, earthworms and other life forms. No more stirring for several days to break up the crust. Emptying lagoon or store more or less completely becomes the norm. Fully Certified for organic farms by Soil Association and Organic Farmer and Growers. 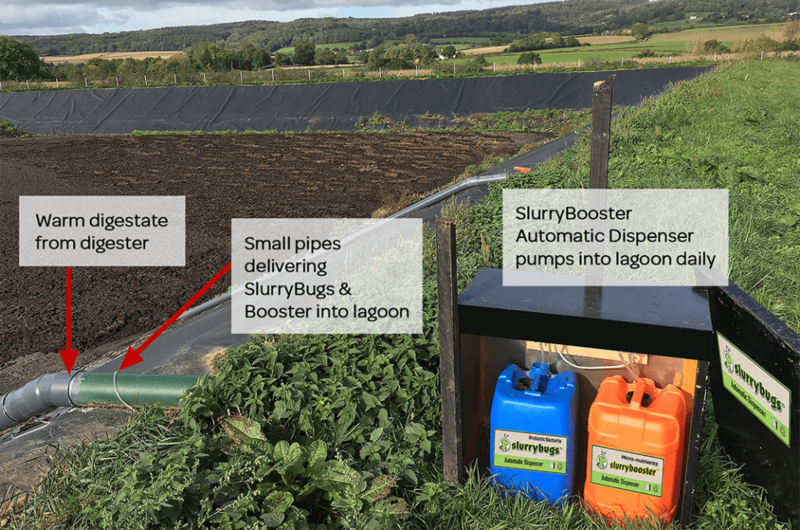 SlurryBugs is also helping farmers make huge savings on fertiliser costs by capturing nitrogen that would otherwise be lost to the atmosphere as ammonia gas. To find out more, please call us on 01772 860085 and ask about our research at Lancaster University on slurry nutrient retention and its beneficial impact on soil microbes.